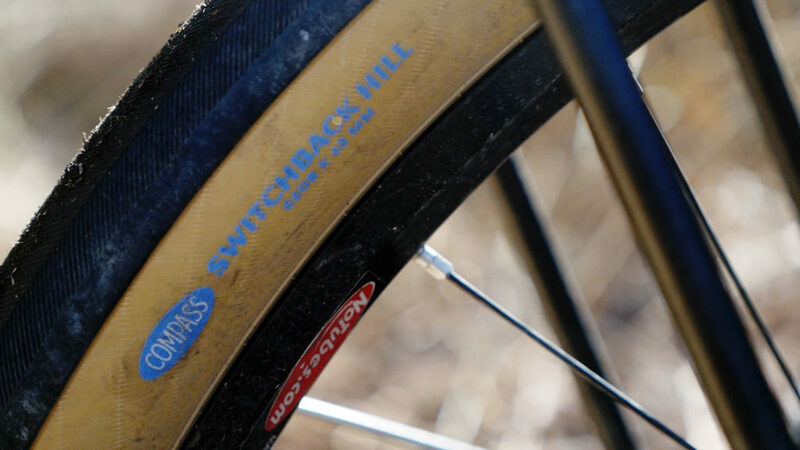 In this review I take a look at the Switchback Hill tires from Compass that I used to convert my Vaya from 700c to 650b. These tires are truly wonderful! They make me want to ride that bike more! I like that they’re closer in size to the knobbies on my “dirt wheels” making the handling more consistent when swapping wheelsets. I’ve done a lot of commuting on them in thorny Albuquerque and they’ve been impressively flat resistant. I’m using the standard casing ones with standard inner tubes. I don’t like them on dirt and gravel however. I know the Compass folks disagree but I need knobs for dirt. Thanks for the helpful review. I’m looking at potentially putting the Snoqualmie Pass tires on my gravel bike to ride the Oregon Outback this summer, but was wondering whether you tried to set up your Switchback Hill’s tubeless and, if you did, whether they truly are a tubeless ready tire. Thoughts? Yes. They are in fact tubeless ready. Just mounted them on our Vaya. Haven’t had much chance to ride with them though yet, but I can attest they will mount tubeless. Hi, how you finding the stans rims with the switchback hills? What pressure are you running them at? They hold the tires well. Generally running 30psi in the front and upper 20s in the front. Did you used standard or EL casing? What tire pressures can you go down to (using tubes). I weigh 165 lb and was wondering how far below the “max pressure recommended” for them of 55 PSI it would be safe for m to use. I weigh 175 and normal running pressures for 650×47 would be around 35 – 40. But would lower to 30 on occasion.